Sallie Brown, smiling senior sales director for Mary Kay Cosmetics, is already working on getting donations now for her 2019 Adopt-a-Grandparent program! Brown is starting her fund-raising campaign earlier this year because she wants to add Adopt-a-Grandparent Veterans in July. The goal is to provide patriotic music along with gifts for veterans, Brown said. 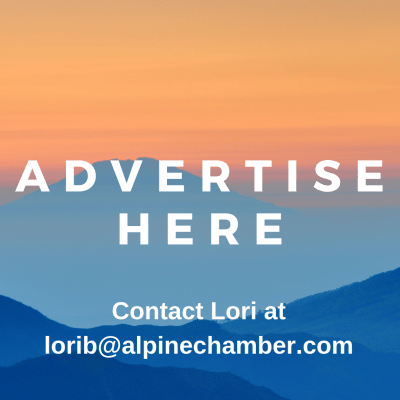 “I started out seven years ago wanting to expand my business by giving to people who would most likely never be invited to a Mary Kay party due to their living environment,” said the former Alpine Chamber Ambassador who is now a Chamber director. Then, Brown said, she realized that she and her husband, Larry ---- both talented musicians --- could enhance their experience at Christmas. 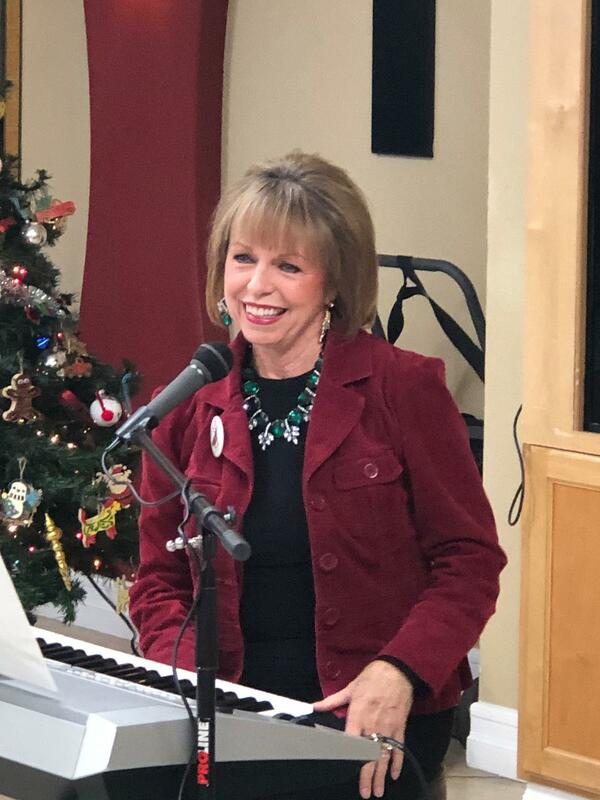 So Brown started Adopt-a-Grandparent, bringing Christmas carols and stockings stuffed with Mary Kay lotions and products to older people in residential/assisted living homes in East County. Brown encourages anyone who would like to carol with her to come to the holiday parties, where employees and Alpine royalty have joined the residents in the fun. She thanked everyone who participated in last year’s Christmas drive. Almost 700 gifte were delivered to Country Hills Healthcare in El Cajon and Alpine View Lodge in Alpine. Those residents who aren’t at the parties receive their gifts in their rooms. Anyone who would like to donate money for this year’s Adopt-a-Grandparent gifts or wants more information can visit www.adoptagrandparentusa.com! Barnett’s talk is timely, because the next day on Feb. 13 the San Diego County Board of Supervisors will hold a hearing about buying the proposed park land and maintaining it. Chamber members and guests will get more news about the community as well as activities and opportunities as they enjoy the hot breakfast. The $20 cost includes giveaways! Then come to the Alpine Chamber’s free Third Thursday Mixer from 6 to 8 p.m. on Feb. 21 at Mediterraneo Italian Bistro & Bar! Known for its gorgeous views as well as delicious appetizers and beverages, Mediterraneo’s is in the Alpine Creek Town Center at 1347 Tavern Road. There will be networking and fun for Chamber members and guests as well as a no-host bar.